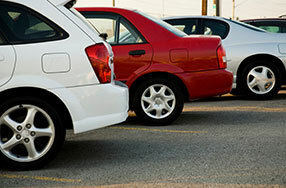 Individuals can get hurt in a parking lot or parking garage in a number of ways. If the parking area is not properly lit and secured, it might invite the presence of a criminal element. If the parking lot is not properly cleared of snow and ice, people can fall or get hit by vehicles that have lost control. It is important to consult with an experienced attorney to discuss the facts of your case. The Seattle parking lot accident lawyers at Kraft Davies, PLLC, have a great deal of experience helping clients who suffered injuries in parking structures. Injuries can be caused by ice, holes, cracks, uneven pavement, inadequate lighting, defective stairs or inadequate surveillance, monitoring and security in the lot. It is our goal to ensure you recover monetary compensation for your medical bills and lost wages. Through a detailed examination of the factors surrounding your accident, we can properly determine liability and begin negotiations with the appropriate insurance carrier. Trust us to protect your best interests throughout the case. Parking garages protect the vast majority of cars and occupants from the elements. Many garages, however, have roof parking that is directly exposed to snow, ice and rain. Additionally, most structures have open external walls. Even in a parking garage, individuals run the risk of injury from slip-and-fall or trip-and-fall accidents. Throughout our practice, we have helped clients who were assaulted in retail parking areas. It is important for property owners to ensure the safety and security of their clients in parking lots and garages. In some instances, they must provide security, cameras and proper lighting to deter any criminal activity. If you were attacked in a parking structure, our attorneys can help you recover compensation. For more information or to schedule an appointment with an experienced personal injury lawyer regarding accidents in parking lots and parking garages, please contact us.